4 SETTINGS: High beam, low beam, red beam & red flashing. Easily change between them with a single switch. Lamp swivels down 45 degrees. 3 AAA Duracell Batteries Included! ULTRA-LIGHTWEIGHT, Non-Bobbing: You get long-lasting comfort that is ideal for DIYers, handymen, mechanics, runners and others. HANDS-FREE LIGHT Whenever You Need It. Shines ultra-bright (110 Lumens) and bulb lasts up to 100,000 hours. FREE E-Guide Included! 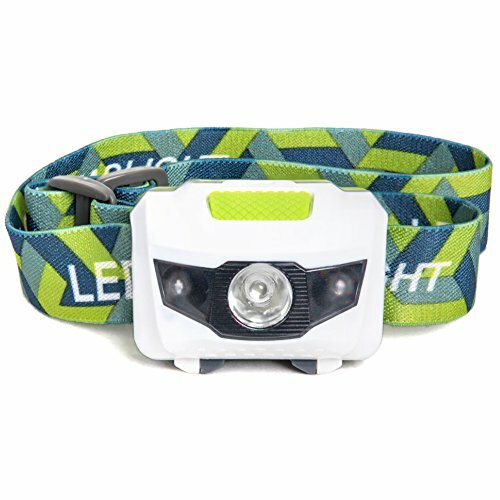 AFFORDABLE QUALITY: You'll love the price and the fact that every head lamp is individually tested, so you can be sure it will arrive in good working order. 100% SATISFACTION, MONEY-BACK GUARANTEE Not happy with your headlamp? Just return it to Shining Buddy within 90 days for a no-questions-asked refund.